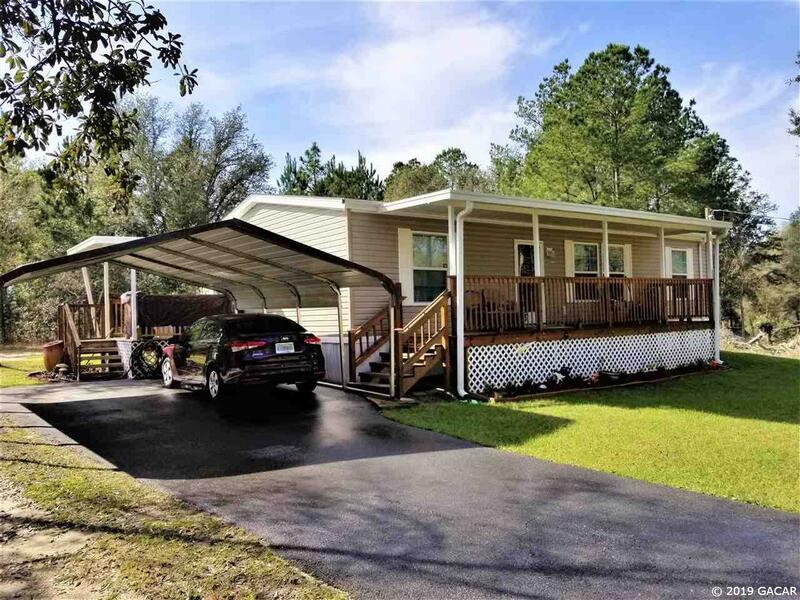 Turnkey - Move -In Ready almost New 2017 3 Bedroom 2 Bath Manufactured home on low maintenance quarter acre lot in a Quiet Country setting,&apos;&apos; Home Features a Paved Driveway leading to a 2 Car Detached Carport/Cover, Storage Building and Work Space, 4" Well with two Filters, Gutter around front of home. Covered Front Porch across front of home and a Side Deck off of Laundry as well. The Interior is Bright and Open with a Great Room floor plan and the Bedrooms are split with Master Bedroom and private bath. Kitchen is Large with a lot of counter space and generous cabinetry. Floors in Living -common areas are Wood laminate and Wood Vinyl Plank. Nicely finished at ceiling and floor with nice baseboards and crown moldings... Located conveniently to both Williston 7 Miles- and Bronson -4 miles and Only 25 Minutes to Gainesville. Property access is via paved road to within only 200 ft from property Driveway. Ready to Move in Condition - Almost New - 1 Year Old. Must See Value ! !